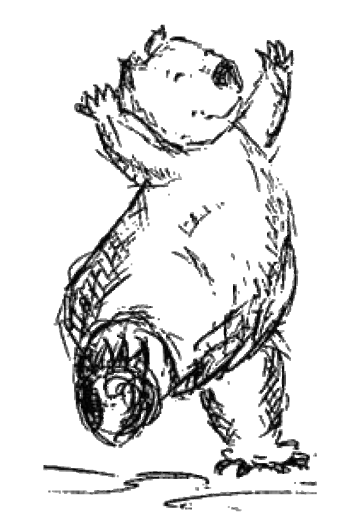 All my reflections so far this year have been drawn from my own Dancing Wombat world. There’s never a dull moment there! But every week, I also have two classes of delightful primary school students who demand my attention. One young man – I’ll call him Dougal – had only just started in the older group this year, and his teacher was uncertain how he’d manage. Knowing how my daughter is capable of much more than she shows, I took the “let’s have a go” approach. We’ve all been delighted with the result. Dougal is a positive, engaged and active contributor in class. Something that Dougal brought to the last lesson really made my day. 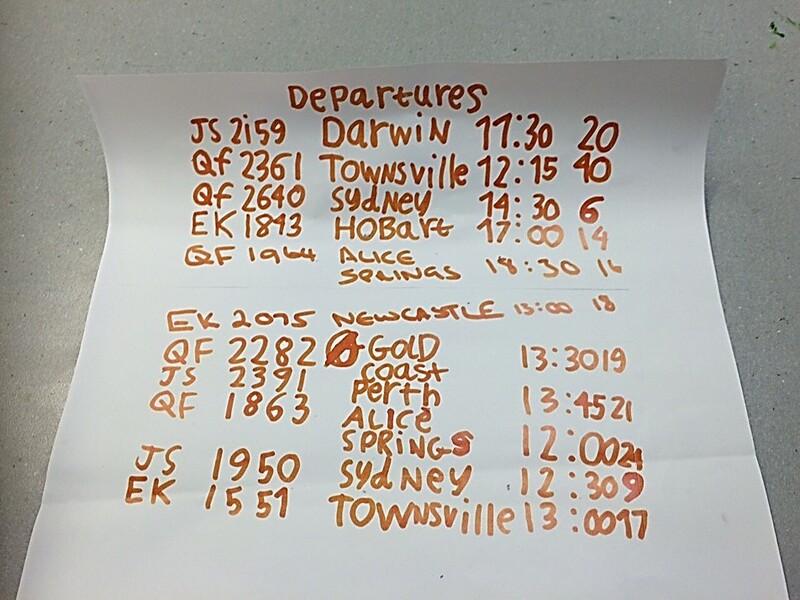 After the previous lesson, he had carefully drawn up a detailed departure timetable, with airline codes (JS, QF and EK), flight numbers, destinations, departure times and gate numbers. He had written 11 of these in neat columns, as you can see from the attached photo. It must have taken him a long time. And in doing it, he showed a great deal of creativity, initiative and perseverance. I was thrilled, and asked him to share it with the class. Later, we used it at the check in counter, to help our check-in personnel give out the information the “passengers” needed to find the right gates for their “flights”. For me, the voluntary effort he put into writing this schedule was further proof that he’s motivated. How fantastic! We all learn better when we’re motivated, don’t we?As I prepare for this week’s lesson, prepare my “jobs roster” and forage for dress-ups, I’ll be feeling that much more encouraged, knowing that for at least one young boy, I’ve struck a chord. Teaching Performing Arts in a specialist school gives me a fair amount of flexibility. It’s amazing how many skills, sequences and strategies can be taught through music, games and role play. I love it! In the younger class, I have been focussing on rhythm, listening, right and left crossovers with arms and legs – indeed, the very concepts of “right” and “left”! We sing, we dance, we do actions and lots of games – especially “Simon says”. 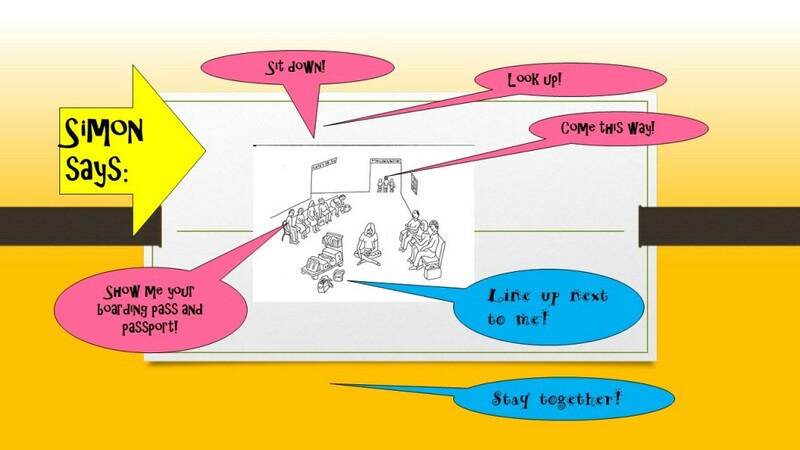 I find that “Simon says” is a great way to transition the students from one part of the lesson to the other. They never seem to tire of playing it. 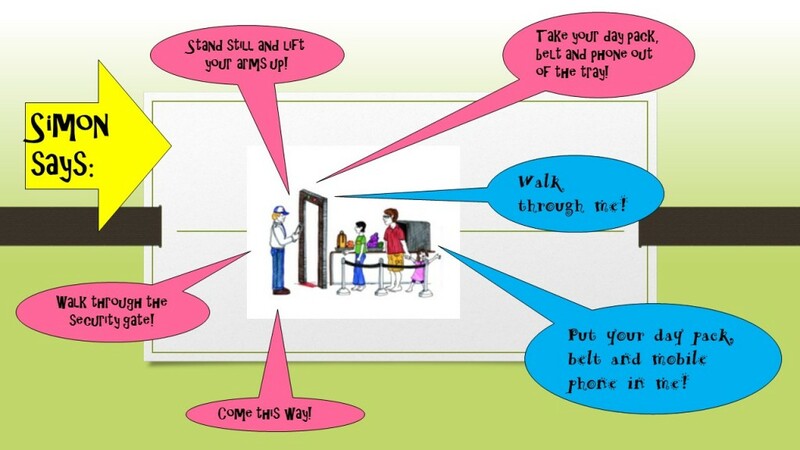 More and more these days, we hear about the importance of not sitting for too long. And as anyone who has worked with young children knows, this is a hard ask anyway! “Simon says” is a fun way of building regular movement into the lessons. But that’s not all! As mentioned, my older students are currently learning about “Going to the airport.” This is reinforcing and extending skills they learned last term, in a unit based on “Going to the cinema”. The current unit is proving an effective and fun way of teaching them a variety of life and social skills. It also provides plenty of opportunities for extending the more capable students while supporting the others. – What are the cues? What should they look and listen for? – How their actions can affect others. Are they wearing a backpack which might hit someone in the face if they turn around? Might someone trip on a bag they have placed on the floor? – What might help them manage these challenges? – to give information when asked (in appropriate circumstances). For example, where are you going? How long are you going for? Is this your first time away? Handling multiple items – whether shopping bags and your wallet, a backpack and your MYKI, or luggage, tickets, boarding pass and even passport. This requires a physical balancing of items, making a mental note of what you have and what you need, and ensuring that important things are put away quickly and safely. Going through security – which happens at multiple venues, from footy grounds to Parliament House, as one of the students informed the class. It also provides another chance to practise queuing! 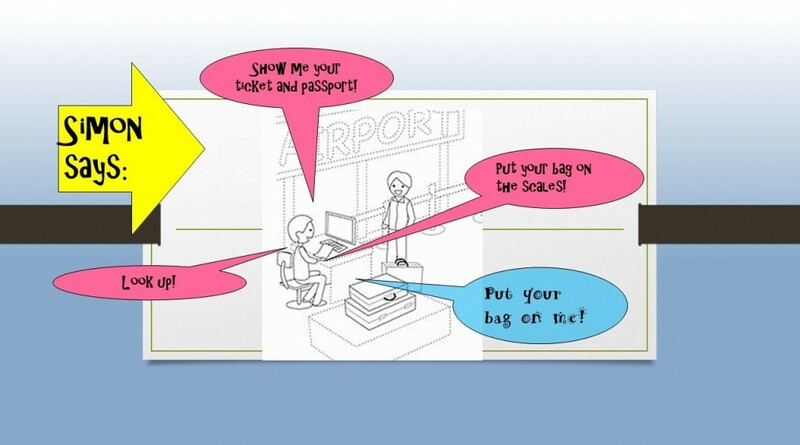 Asking directions/looking for directional information – this speaks for itself, and is not just confined to airports. Whether in shopping centres, public transport hubs, just walking up the street, being able to ask for and follow directions is an important life skill. Discussing strategies for managing in crowded, noisy places. My private nickname for the Chadstone Shopping Centre (Melbourne’s Chadstone is the largest shopping centre in the southern hemisphere) is “The Halls of Hell” . My technique for managing its madness is not going there. But children often don’t have a choice to avoid situations they find difficult on a sensory level. So it’s important that they have their own strategies to help them cope, by minimising the sensory impact. Making eye contact – which attracts a lot of discussion, because it can be extremely difficult – especially for people with ASD. Yet there are places where making eye contact is essential – like, when your passport is being checked. So my students need to work out what is most effective for them: looking at someone’s nose or forehead, perhaps? Listening to instructions – which are given in multiple places, from home to school to public places, and in multiple ways. It is hard to someone to follow instructions if they’re not sure what those instructions are in the first place. Are they hard to hear? Are they too difficult to read? What else can you do to get the information? Watching the time – time management is an important skill and one which is easy to take for granted. The students are really enjoying the unit so far, and delight in the opportunity to take on different roles: check in personnel, security guards, Immigration officers, flight stewards and, of course, passengers! So until next time, Happy Wombatting!